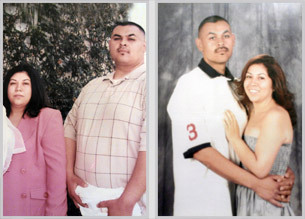 Husband and wife Roger and Mayra received sleeve gastrectomy surgeries from Dr. Feiz in December 2011. Before their weight loss surgeries, both were often sick with colds and flus and frequently experience physical problems such as severe back pain. Upon learning that Dr. Feiz is one of the most highly recommended bariatric surgeons in Los Angeles, both patients decided to travel from their home in Oxnard, California, to Beverly Hills to meet with the doctor. Roger and Mayra found Dr. Feiz to be straight-forward and trustworthy, and accepted his recommendation of gastric sleeve surgeries. During the entire surgical process, the surgeon consulted with the patients to ensure their optimal comfort and peace of mind. 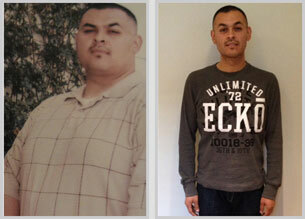 Following the surgeries, he instilled both with the desire to regularly exercise and consistently eat healthy. A year later, Roger has lost 150 pounds and Mayra has lost 80 pounds! Both have experienced a happier home life in the past year. As a result of the surgeries, Mayra and Roger have also fanned the flame of their romance, planning more couple time and weekend date nights. With the gastric sleeve, husband and wife has experienced personal benefits as well as improvements within the entire family unit. Both patients are thankful for the incredible support Dr. Feiz and his staff has given to their family along the way!